Prosper is the kind of theme you build your business around. 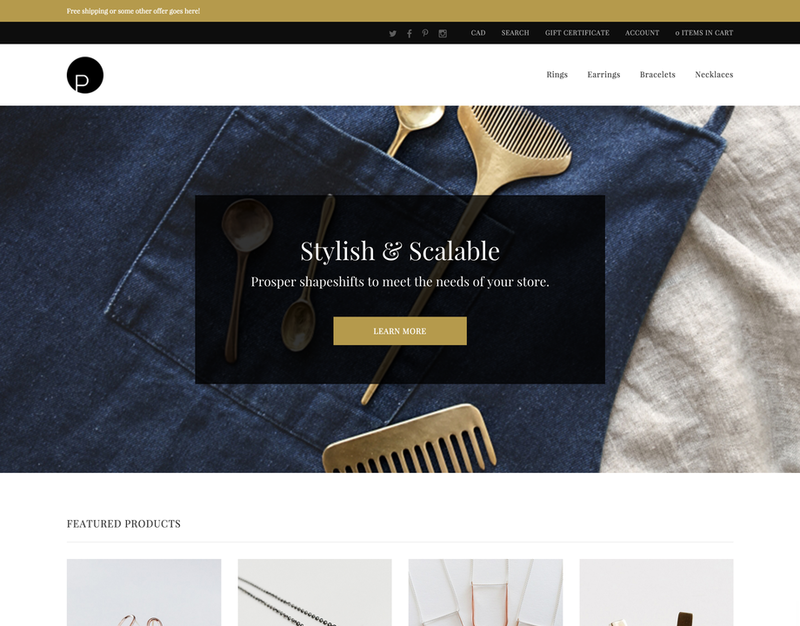 Designed to scale, it is defined by its stylish, long-format homepage, engaging product presentation, and beautiful typography. 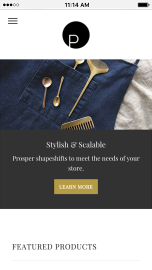 Accessible to both merchants and shoppers, Prosper is quick to set up and offers an array of branding and customization options.